USFWS Permit TE022690-4 - Permit expires August 2020. Please note the permit is up for renewal and Meadowview can still legally sell plants noted in this section during the renewal period. Carolina mountains. 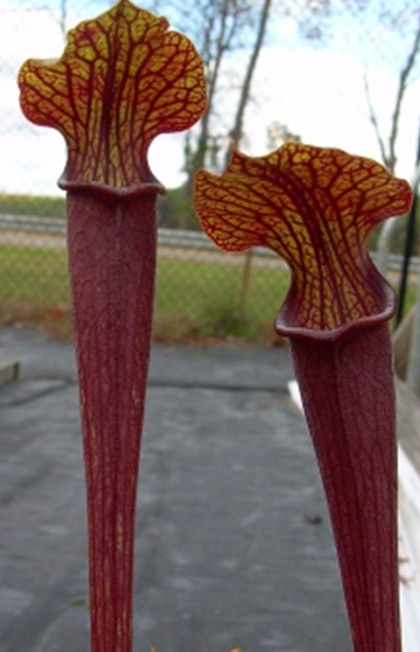 Tall, slender pitchers with a slight bulge on top. Maroon flowers with violet-like fragrance. Central Alabama. Produces outstanding, robust, golden yellow leaves (up to 40 cm) in the fall which have a slight pubescence. Leaves develop a beautiful rusty-red after the first frosts. Carolina mountains. 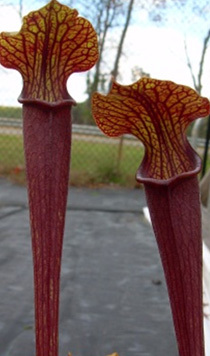 Tall, slender pitchers with a slight bulge on top. Anthocyanin-free mutation (green) that lacks red pigment and produces fragrant yellow flowers. 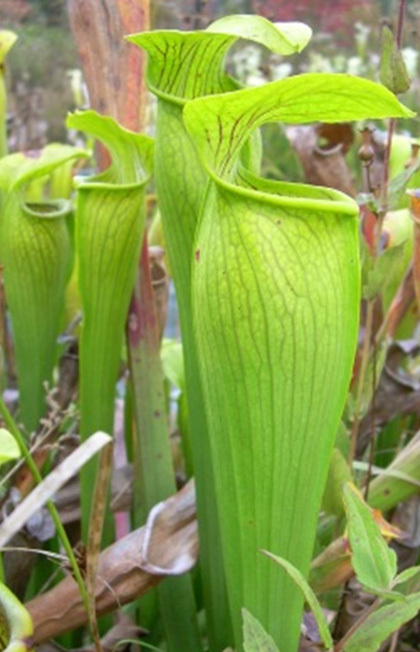 The Green Pitcher Plant. 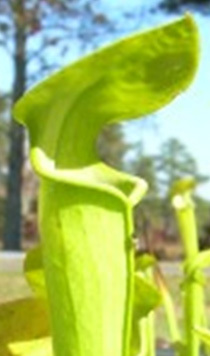 This extremely rare pitcher plant is now only found in northeast Alabama, one site in North Georgia, and one colony in North Carolina. 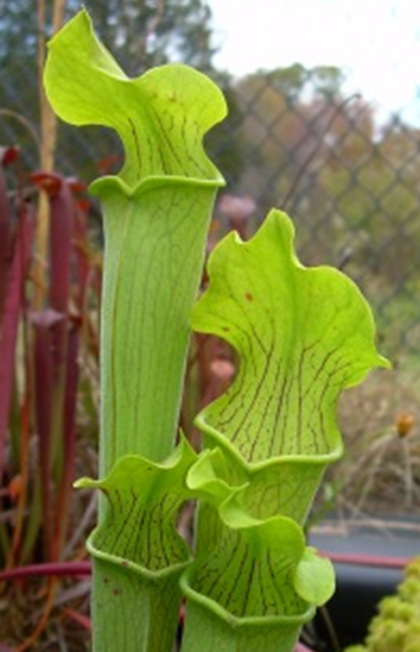 Our plants for sale were donated by Bill Scholl and all funds from the sale of the plant will go into the Joseph Pines Preserve savings account. 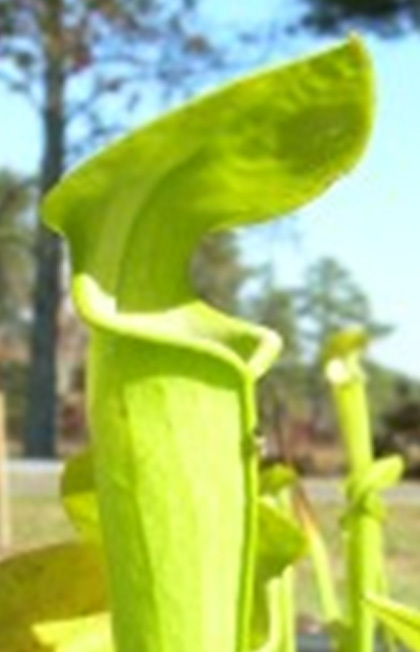 Green pitcher plant blooms in early May, flowers are a light yellow with a slightly musty odor. 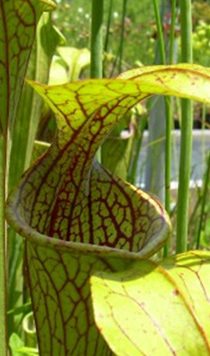 A unique feature of this species is that the pitchers open at the same time as the flowers, presenting an especially attractive appearance. 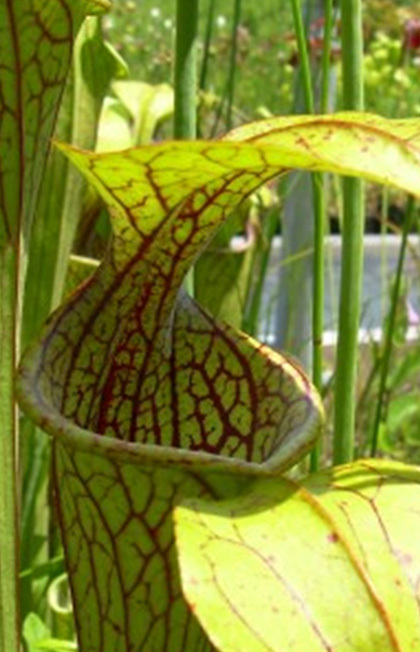 Our plants have leaves that are a beautiful chartreuse with light purple veining. Winter leaves are flat and sharply recurved and twisted.